While visiting my home town this past Christmas, I could hardly find my way around town. The sleepy, un-assuming town of Owerri, in the South-Eastern part of Nigeria, where I spent the later part of my childhood and most of my adolescence, has lost its innocence. It has been defiled by urbanization. I like it. But I don’t like it. This seems like a contradiction, but that is what it is, a love-hate kind of feeling. The change didn’t happen overnight. Change seldom does. In the past decade, or so, every visit home churned up something new. The roads had more cars. Streets sported new residential buildings. Commercial centers sprouted everywhere. Church pews filled to overflowing on Sundays. Markets became even busier. There were more people on the streets, speaking different dialects of Igbo, the language of the South East; many of them people who had relocated from other parts of the country. The re-making of Owerri had started, slowly but relentlessly. Now, the road network is greatly improved. The landscape is more pleasant to behold, especially with the Christmas Decoration that beautified public buildings and spaces. Residential estates, hotels and guest houses, institutions of learning, shops and supermarkets, eateries, clubs and corporate offices have taken over the once - quiet neighbourhoods. Landmarks which held the fondest memories for me have borne the brunt. One of them is the State Library, where I sated my childhood hunger for books such as Alice in Wonderland, The Wizard of Oz, The Famous Five and The Secret Seven. It has been pulled down and in its place stands a huge circular building, imposing in all its blue-glass-and-concrete majesty, called the Ecumenical Center. Traffic gridlocks are now a staple. A journey from town to my village on the outskirts of town, which used to take forty five minutes at the most, may well take one and half hours now depending on the time of day and the route you decide to ply. Exotic cars, and the not-so-exotic, jostle with yellow coloured tricycles called Keke Napep - which provide the most common means of public transportation within town - for the right of way on roads that were hardly ever busy. Even the weather seems to have colluded with these kill-joys to rob me of everything that spelled normalcy. The cold, dusty Harmattan weather, one of Christmas’s special offerings, is no longer as severe as it used to be. Thanks to global warming. What I grieve for the most is the gradual ebbing of the festive mood which the South East has always been known for at this time of the year. This is Christmas, I reminded myself each day as I drove through town. There used to be more buzz, more merriment in the air. I remembered the masquerades which roamed the streets and provided some of the high points of the season for us as kids and young adults. Over the years, new generation churches have told us that masquerades are demonic and represent spirits of the dead. We believed them, and the masquerade displays trickled out. I remembered the young girls who used to dance from one house to another dressed in improvised pleated skirts and sashes across their chests. At each house they’d be given some money and lots of food and drinks; not because their families hadn’t fed them, but because it was the culture and it brought lots of joy. I remember how much fun these activities were and have often worried about how much of our culture we’ve given up for modernity. You never know what you have till you lose it. 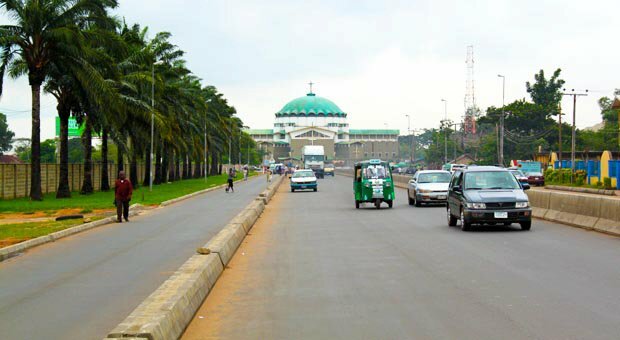 I miss all that we had in Owerri - the slow pace of life, the quiet streets, the many un-gated compounds and peaceful neighbourhoods, the short drives to any place in town, the friendly people. I miss the fact that most families knew one another; that we always trekked to our primary school, picking up friends along the route, while plucking ripe almond fruits from trees, or harvesting the ones that had fallen to the ground, until we arrived at our destination. I miss all of it. And I want it back - the old ways and the old haunts. But this is wishful thinking. I must accept the change and all that has come with it. The change caused by urbanization and migration, which drive each other. Perhaps urbanization is a consequence of migration. Or maybe it helps to encourage migration. Together, they bring about growth and diversity. They birth new communities, new languages and new life styles, new ideologies about politics and new ways of doing business, new beliefs about God, life and death. Sometimes migration is borne out of loss and pain, out of the need for survival, the search for a better quality of life. It is stories of Christian Missionaries who, having seen members of their congregations slaughtered in Sunday morning attacks, have had to make painful choices between leaving and staying back to continue the work of the Gospel. It is the story of the teenage cobbler from Northern Nigeria, whose entire family has been wiped out by Islamic fundamentalists, and who now seeks a peaceful place to ply his lowly trade. It is stories of young women and men who, filled with apprehension about the future, have to leave their families for the first time to work in cities far away from home. It is stories about people from different stations of life coming together in one big melting pot. This, I believe, is what happened to Owerri. And, grudgingly, I concede that the new tapestry of sights, sounds and people has made the town more vibrant, more Cosmopolitan. The stories about migration often tell about people’s journeys to new places and their struggles to fit into alien societies. They hardly tell about host communities whose cultures become diluted and even eroded over time, and whose lives start to change in ways they can neither control nor get back. Knowing that people are usually possessive about the things that are theirs, I now see how easy it would be for indigenous people to have their tolerance of change tempered by resentment. Those would be people like me who are struggling to come to terms with the new Owerri. Now I have new-found admiration for Lagos State - where I have spent most of my adult life - which has continuously welcomed strangers from different parts of Nigeria with open, and sometimes not-so-open, arms; for indigenous South Africans who have had to live with white settlers, especially during the oppressive apartheid era; for the United Kingdom with her multi-ethnic cities and communities; for continents like the United States of America. They, and others like them, embody noble stories of migration and change.